We live in an idol driven culture. Idolatry came with the entrance of sin. In fact, Martin Luther said, “Under every behavioral sin is the sin of idolatry.” If this is true, and I believe it is, this should forever change how we look at sin. Recently, at LifeWay’s Employee Chapel I had the privilege to talk about four root idols. Which of these idols resonates with you? Mentally walk through a day as a kids minister. Inevitably, you struggle with these four idols yourself, and you will work with kids and volunteers who struggle with these idols too. It is a universal human experience that we must learn to address and for which we need to seek repentance. I hope this challenges you personally and in your ministry. I encourage you to teach your kids what it means to struggle with these root idols. They too can learn to practice repentance from idols by focusing on the worthiness of God. 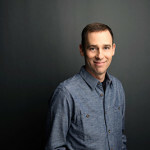 Eric Geiger serves as one of the Vice Presidents at LifeWay Christian Resources , leading the Resources Division. Eric received his doctorate in leadership and church ministry from Southern Seminary. He is also a teaching pastor and a frequent speaker and consultant on church mission and strategy. Eric has authored or co-authored several books including the best selling church leadership book, Simple Church. Eric is married to Kaye, and they have two daughters: Eden and Evie. During his free time, Eric enjoys dating his wife, playing with his daughters, and shooting basketball. There are countless books, podcasts, blogs about leadership today, but one of the topics that most people shy away from is the role of love in leadership. As Christian leaders we are called to love our neighbors as ourselves, and it is very difficult to lead well if we do not love well. I truly believe that if we can love well in our ministry and in our lives everything else will follow. Theodore Roosevelt once said, “No one cares how much you know until they know how much you care.” One of the most important things that you can do for those that you lead is to make them feel valued. The quickest way to create friction on a team is if members do not feel cared for or important. A word of encouragement can make a world of difference. It is important to have great programs and excellent ministries, but the most important thing is the heart behind it all. Paul said that if we don’t have love, we have nothing. What is the heartbeat behind your leadership today? Are you placing an emphasis on the people that you lead? There are so many ways that you can invest in the people that you lead. Listen to them when they speak, compliment them on their good work, and look for connections that can establish a relationship. Your teammates, volunteers, or employees need to know that you take an interest in them. The small talk and the you engage in can sometimes mean the most. They will know us by our love as Christians and as leaders. We must start with love, everything stems from the heart. When you think about excellent customer experiences, what companies come to mind? Chick-fil-a, Southwest Airlines, Starbucks, and Amazon are always on my list. In addition to the products and services these companies offer, they work hard to make customer service a part of their brand experience. Whether you know it or not, your kids ministry also has a brand. I’m not necessarily talking about logos, graphics, or font treatments (although those things can be very helpful tools); instead, I’m talking about how others view your ministry. You are known for the services and experiences you provide to kids and families, whether good or bad. If you have never thought about your brand, you may want to take some time to reflect on how people currently perceive your ministry and how you want them to perceive it. Check out these tips for branding your kids ministry. What are those “big picture” ideas that you want to permeate throughout your entire ministry? Maybe you want your kidmin to be focused on Jesus, or maybe you want to emphasize making intentional connections with families. Take some time to think about these concepts. Make a list if you don’t already have one, or review your current list to make sure it still aligns with your ministry goals. Ask for input from other leaders in your ministry. It does no good if you create a mission statement or list of values in isolation and never share it with others. You need to talk about the important things in your ministry regularly! Call a meeting with your volunteers and teachers to help cast your vision for ministry, and re-cast vision regularly. Communicate to parents and families the things they can expect from you and your ministry. Make sure your messaging is consistent in your various media outlets (bulletins, announcements, website, Facebook, etc.). You cannot stand on empty promises. If Chick-fil-a simply talked about being focused on their customers but they consistently provided a terrible experience, their business would fail. Make sure your ministry is actually in line with your mission and goals! Provide regular training for your teachers, volunteers, and leaders. Give honest feedback, and ask for personal feedback, too. Ask friends or mentors to hold you accountable and lovingly point out when you aren’t delivering on your promises or goals. The real key to branding your kids ministry is consistency. If you change your message or goals every month, or if you provide a quality experience for a special event but neglect your ministry on Sundays or throughout the week, people will wonder whether they can trust you. You must be consistent in your messaging, and you must consistently deliver on your promises. You may be surprised by what you hear. If you get inconsistent results, or if the responses do not reflect your ministry goals, it may be time to hone your skills in branding your kids ministry. This summer we have so many exciting things planned for kids and adults but it is so important to prepare our hearts for the truth that we will delve into during FIT:Faith in Training. As we prepare to teach campers the importance of reading scripture, prayer, giving, and christian community we need to make sure that we have a firm grasp of our spiritual lives before we lead campers to experience it for themselves. It can sometimes be overwhelming or disconcerting to evaluate your prayer life or how often you spend time alone with God, but it is so important to take time to reflect on your relationship with God. As leaders in your kids ministry, you must lead by example. If we want our kids and volunteers to read the bible, give cheerfully, and pray we need to be doing those things well in our own lives. Take a moment to think about all that God has done in your life and what you are doing in response to the grace that He has provided for you. Being a part of a community of believers to encourage you and hold you accountable is vitally important. We are always stronger together. And remember, perfection is not the goal. We will not always do everything right; we are in the process of transformation, we have not achieved it. Being willing to be transparent in your walk with the Lord with your community can be one of the most important things we can do. Albert Einstein once said “If you can’t explain it to a six year old, you don’t understand it yourself.” If we are not knowledgeable about God’s word, prayer, giving, or christian community we will not be able to speak into the lives of others regarding those things. Getting FIT for this summer requires leading by example and practicing what you preach. In last week’s Camp Prep Series, Henry gave you a bit of insight into how we decide on our camp themes. 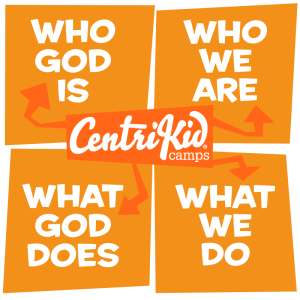 We are excited that FIT:Faith in Training is our 15th CentriKid theme! We believe that a summer theme is a fun tool to help share the message of Christ to kids that come to camp. Back in December, the CentriKid office team gathered with a few friends for an entire day to plan out the 2016 spiritual direction and theme. You might be surprised that planning for camp happens so far in advance, but there are so many different things that must be written, produced, design, and edited, that it takes all of the 18 months to make camp happen successfully. 2.) Choose daily themes. After we decide on the overall spiritual direction, we begin to focus on each day of camp, and how that should be broken down into smaller spiritual themes each day of camp. For example, this upcoming summer, each day of FIT: Faith in Training is broken up into smaller themes like “A Disciple is a Follower of Christ, A Disciple Encounters God Through His Word, etc.” This is also where we begin ideating what scripture passages will be used as the basis for Bible Study and worship. 3.) Brainstorm overall motifs. After we have a solid foundation in the spiritual direction, then we begin coming up with motif. Last year, for example, the CentriKid team considered a motif of a factory, a greenhouse, and more before choosing the fitness motif for FIT: Faith in Training. 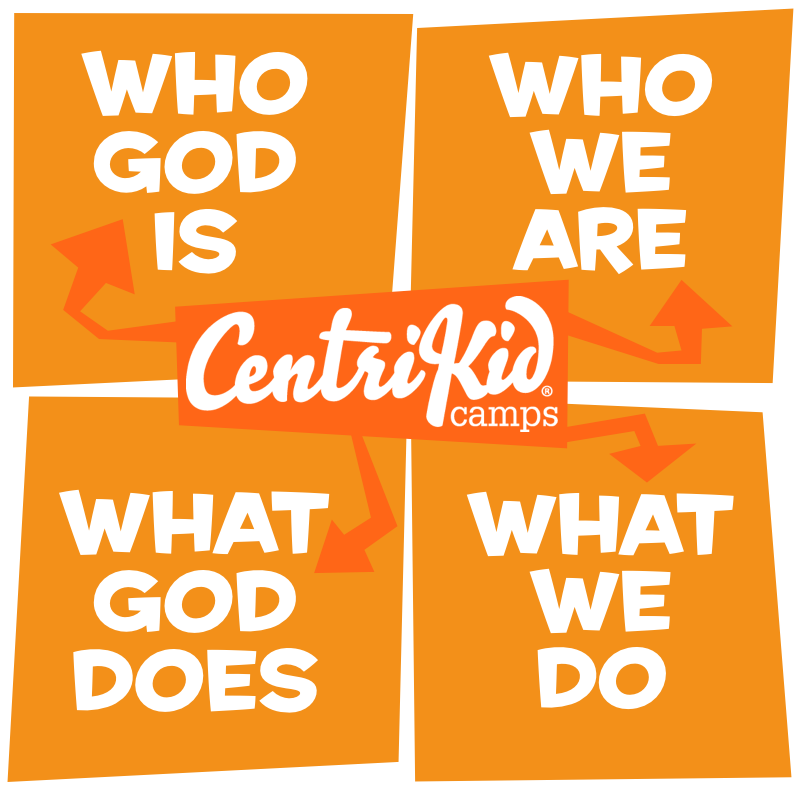 When choosing the CentriKid theme, pairing the motif with the spiritual direction is extremely important to us, and we want the connection between the two to be clear. 4.) Leave the conversation open. Hopefully by the end of the planning day, we have laid solid groundwork for next year’s CentriKid theme, but we choose to leave the conversation open over the next few months. While we leave the meeting with an idea of what the spiritual direction and motif will be, we want to continue to seek the Lord’s guidance in the next summer, and we remain willing to adjust things if He leads us that way. I hope that you have enjoyed getting a small glimpse into how we choose our camp theme! Maybe you can use this guideline for choosing how you theme your kid events, D-Nows, or day camps. We hope to see you this summer for FIT: Faith in Training, and at the end of your camp week, you will get a sneak peak at the theme for CentriKid 2016!